Kerrin Hearfield: First Crusader Challenge - yep i'm a bit late to the party! First Crusader Challenge - yep i'm a bit late to the party! · one of your favourite things in the whole world. The post can be in any format, including poetry (for those poets among us), but must include the random words, “bloviate,” “fuliguline,” “rabbit,” and “blade” (tee hee). Finish your post with something along the lines of, “I may have revealed something about me that isn’t strictly true, can you guess what it is?” (this last bit isn’t included in the word count). And don’t forget to tell us the answer in your next post! So i am a graduate with an English literature degree and i just love to bloviate about all the best authors out there that have paved our literature course. 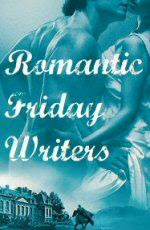 I especially love Jane Austen and have a love for Romance reads with a Regency theme. And if they contain anything to do with fuliguline, it just makes it better. But, if i find i am lost in the pages of a story my nails are cut to the quick, not by a blade but my teeth. One of my favourite things in the whole world are baby animals. Yes even the bunny rabbits! The cute cuddly things with giant feet and can be pets - so adorable!! I would love to be able to write a story set in the Medieval period. I can't get enough of the stories set in this era, however i'm too lazy to do all that research! I only hope my heroes and heroines make others drift away as i do whilst reading these stories. Hmm I bet you're doing that research aren't you XD. And don't worry about being late to the party. Those who are often make the best entrances. My guess- you don't bite your nails. LOL great post! Better late than never! Hmmm, hard to pick out the fib. I'm going to guess that you don't like books about fuligulines?